Though connected TVs are selling in greater numbers, 3D set sales are expected to decline. There are some big problems facing 3D television makers. Content is lacking, prices are still fairly high and there's still no universally accepted standard for what a 3D television should be. All of those issues combine to make a product that consumers are wary to get into. Analysts at SNL Kagan say that this unstable state of affairs means 3D television sales will slow this year when combined with a decreased interest in 3D movies theatrically. The folks over at Retrevo conducted a similar study and found that price was among the highest deterrents for consumers. 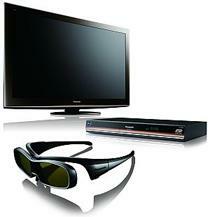 As a result, they expect the 3D television premium to drop to as little as $150 this holiday season.